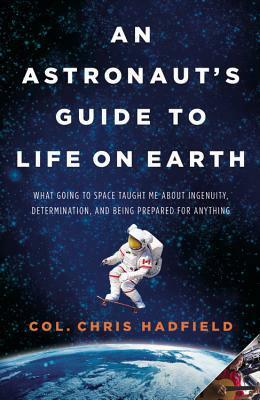 Over the weekend, I powered through Canadian astronaut Chris Hadfield's An Astronaut's Guide to Life on Earth, a quirky mixture of true life space adventures and a self-help book. Like a lot of people, I fell in love with the mustachioed Canuck from his many wonderful videos from the International Space Station, during his 144 day stint there. Hadfield brought that clear-eyed, can-do optimism that is so rarely seen in public media nowadays, while delivering solid science education for all ages. His book recounts his personal and unlikely story going from a young Canadian boy watching the first astronauts take their first steps into space to commander of the International Space Station. You learn lots of the cool quirks about living in space, where even the most mundane tasks like brushing your teeth are challenging and fascinating. And you get a sense of the excitement and the tension of takeoff, spacewalks, landing, and other dangerous parts of the mission. So whether you are interested in the experience of being an astronaut or you want to know how to live a happier, more focused life, I recommend checking out An Astronaut's Guide to Life on Earth. It's a quick and breezy read, but it might stick with you for awhile in your head. Next ArticleSF MOMA to be the Largest Modern Art Museum in the Country!